Capturing Michigan Summer Photography Is Easy, Its Everywhere! 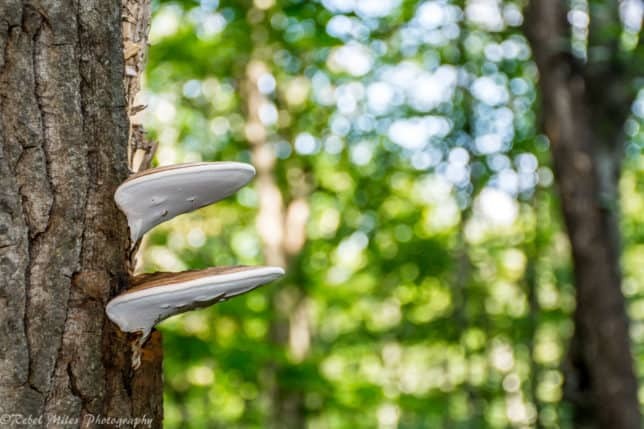 There’s nothing quite like taking Michigan Summer Photography – especially up in the northern reaches of the state. With gorgeous, balmy days and chilly, bracing nights, Michigan in the summer is truly a land of contrasts – and it takes a professional eye to capture the scenic beauty of The Great Lake State. But natural beauty isn’t everything. In Michigan, the summer is a time for celebration, outdoor activities, and to enjoy the beauty and perfection of our humble state. That’s why I always have a dual focus when taking pictures in Michigan. I love to capture unblemished, pure images of nature – but I also love taking photos of native Michiganders, enjoying what Michigan has to offer during the summer. Let’s take a look at a few examples of this now. An Old Woody Appropriately Named “Summer” On The Leeland River In Leeland, Michigan. This photo is one of my favorites. I captured it in Leland, Michigan, near North Manitou Island. I’m always drawn to the rivers, lakes, and islands of Michigan – these are some of the most unique features of our state. In this photo, we see a man – unaware he’s being photographed – piloting an “Old Woody” boat that’s aptly named “Summer”. What I love most about this photo is its feeling of anticipation. I don’t know where this man was going. I don’t know what he was doing. I don’t know how he felt. 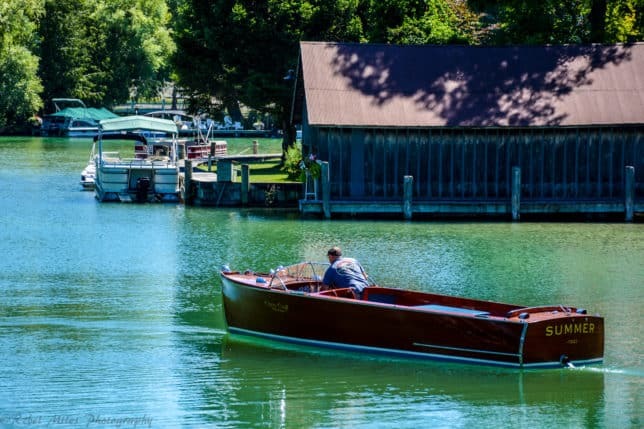 But as he was piloting his boat out of the docks, the world of Michigan awaited him – and what he did with it was up to him and it allowed me to capture Pure Michigan Summer Photography. To take Michigan Summer Photography is to experience a time of growth, beauty, and natural wonder. That’s what drew me to these mushrooms, growing out of the base of an old oak tree. The bright white of the underside of the fungus serves to accentuate the rustic, ancient bark of the oak, flaking and deteriorating. The out-of-focus greenery in the background feels alive – and indeed, it was alive with mosquitoes, crickets, and any number of other insects! Michigan is lauded for the beauty of its rivers and lakes – but to me, that’s only part of what makes Michigan such a great place to take photos. To truly experience Michigan, you must dive deeper than scenic landscapes and photo opportunities – and find the hidden places that you, alone, will experience. Contact Me Today To Request Photos! Whether you’re interested in some of my past photography work in Michigan, or would like to commission a print or a photo of your favorite place in Michigan, I’d be happy to hear from you. 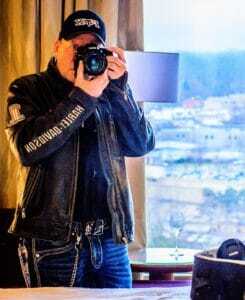 My photographic eye will serve you well, and my rates are always reasonable. Contact me online today, and see what Rebel Miles Photography can do for you!